Several years ago, my wife brought up with me the topic of purchasing a nice mini-grand piano to put into our front, formal room. We did a little research and found out that we’d be looking at spending in the range of $5,000 to $10,000 to get something that matched what my wife and I both wanted. We both play the piano, and we both believe that music is an important part of education for ourselves and our children, and that having a nice-sounding and nice-looking piano in the home helps to set the environment we want. 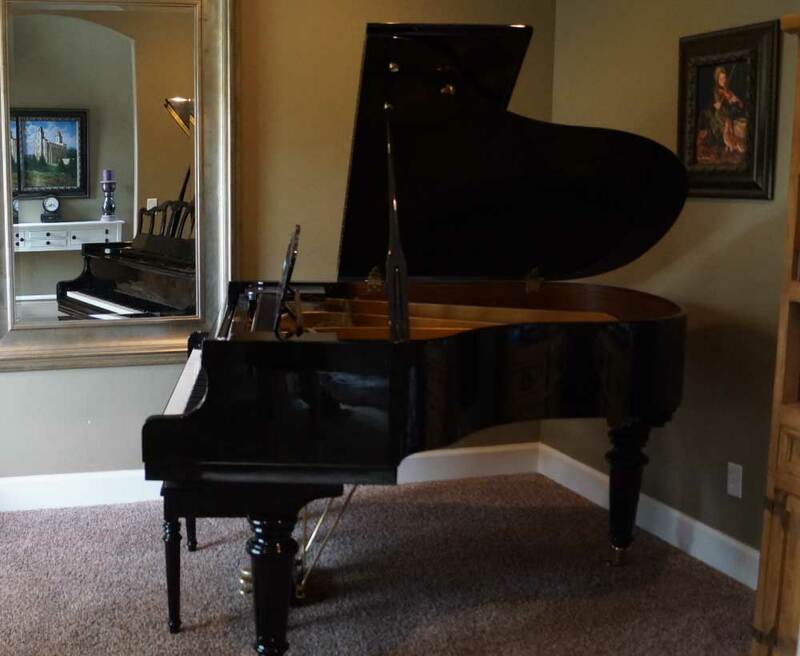 When were considering the purchase, we had plenty of money in the bank to pay cash for whichever piano we wanted, and to make the purchase without putting a strain on our finances. It seems like the decision in that case should have been an easy one: buy the piano. No problem. It turns out the decision wasn’t quite that cut and dry. As I think back on the reasoning behind it (and several other larger purchases we’ve made since then), I’m happy that we waited to make that purchase and other ones we’ve made. To maintain and improve our family’s financial health, we have developed an unofficial (more tradition than anything else) policy of making larger purchases using this approach. When someone in the family (usually me or my wife, although our kids have jumped into the mix, as I’ll explain below) wants to get something or do something that costs a significant amount of money – usually something in the thousands of dollars – we develop a plan that allows us to work and save up for that item or to earn it. That might not seem like the most innovative approach (lots people have saved for things before), but after being blessed with several successful businesses, we’ve found ourselves capable of paying cash for whatever we might want. The work-earn-and-save-even-though-you-already-have-the-money approach keeps us from making poor, impulsive decisions that could ultimately put us in a bind financially. In the case of the piano, my wife and I made a deal. She had started and was operating a new children’s clothing store, MayleesBoutique.com, and was starting to earn some extra spending money from the profits that came from that business. We decided that we’d wait to buy our piano until the business had a single month of $5,000 or more in profit. Setting that goal and creating threshold would cause us both (I was her marketing guy) to focus our attention and efforts towards accelerating the growth of the business. When we made the deal among ourselves, the store was making about $2,500 per month, so we would need to double its size, something we estimated would take us about 3-6 months since we were both working on it part-time. Over the following six weeks, we increased the store’s monthly earnings to $3,500. Then we decided to sell our store so that my wife could focus more time on her role as a momma. A month later, we sold the business to a friend for $60,000 in cash. We bought our piano, but not until after we accomplished the requirements we gave ourself to qualify for it. After the business sale, I tried (in a joking kind of way) to make the argument to my wife that the store had actually never met the goal we’d set, but she quickly reminded me that capitalizing on the equity in the business and cashing out with $60,000 did indeed meet the requirements. Naturally, I relented. We found a deal on a Samick mini-grand piano for $6,500, and we bought it the following week. It has blessed our family and others significantly over the years we’ve had it. The purchase felt much more satisfying knowing that we’d exerted some effort and discipline to earn it for ourselves, which makes the instrument sound much more beautiful than if we had simply dished out the cash or, worse, financed the purchase. We’ve used this same marginal earn before buying approach with most of our major purchases since we discovered how powerful it can be with the piano. The collective efforts of our entire family earned us a trip to the Bahamas on the Disney Dream. Last fall, as the Christmas shopping season approached, our kids mentioned to us that they’d be interested in going on a Disney cruise. We had taken them to Mexico before on a cheap cruise (Carnival – never go on that cruise line, by the way, if you want to avoid drunken people doing crazy things the entire time. I recommend any other cruise line) several years before, and the loved the experience. 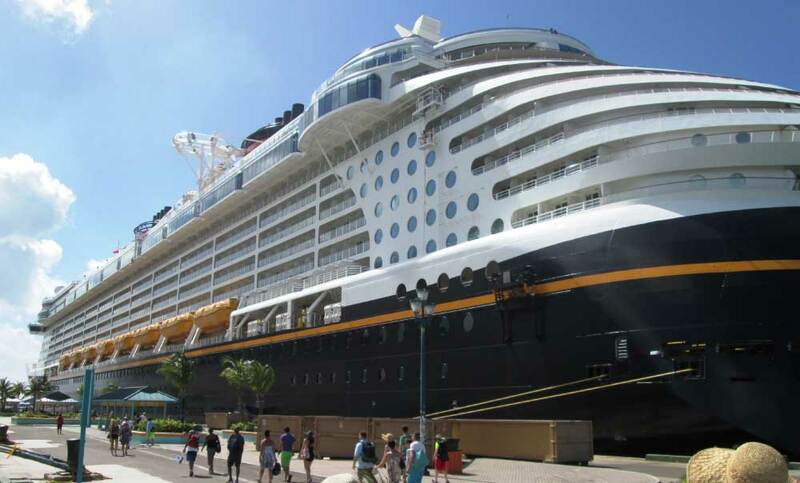 Our kids had friends who told them how fun a Disney cruise is, and they wanted the experience. Instead of just paying for a free Disney cruise for them, this is the deal we made with our kids that October. If our vinyl decor store had revenue of at least $80,000 in December (our biggest sales month of the year), it would qualify the entire family for a Disney cruise the following summer. They were all in! From our 11-year old daughter all the way down to our 2-year-old son, our kids rallied around the opportunity to help us qualify for a travel opportunity that we were actually technically (the money was in the bank already, but nothing had been designated for a trip like that) qualified for. Over the Christmas season, my daughter and my oldest son spent hours helping out with graphic design assignments, making new product images, as well as adding new products to our Amazon store and our website. All of the kids who were old enough helped out with our manufacturing and fulfillment needs, including pulling near all-nighters as the Christmas shopping season reached its peak. The whole experience helped our family to bond behind a worthwhile purpose. We worked our tails off during the busy Christmas shopping season so that the kids could enjoy a fun trip the following summer that they would always remember. 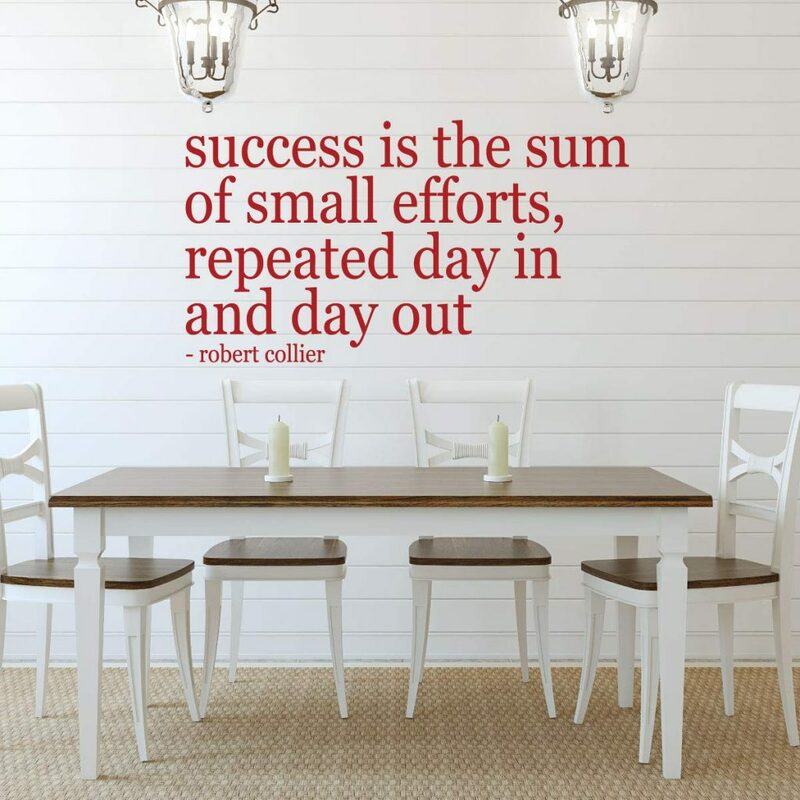 When everything was said and done at the end of that December month, we had far exceeded our sales goal, and we’d kept up (with the help of our business partners and other team members who work for our company) with orders, even though it was exhausting sometimes. The following summer after our family work blitz, we went on our Disney cruise to the Bahamas out of Port Canaveral, Florida. We took my parents on the trip with us, and we visited the Florida Keys, the Everglades, and a few other fun places in Florida. The entire trip was expensive, costing about $15,000, but it was more than paid for. The extra focus that I, my wife, and our entire family put into building the business over the time period designated for the goal has already paid for the trip many times over, and our company and income continue to benefit from the growth we received from those efforts. Taking a vacation without the guilt is a lot more fun! If this sounds like a strategy you’re interested in, feel free to try the formula. Here it is again. This approach seems to work well no matter how wealthy you are. If you look at money with a stewardship mentality, which I believe is the best way to do it, then making purchases this way is especially rewarding. I’ve found that it causes me to not waste money or dip into the savings we’ve built for things that are not essential. Even if you already have plenty of money to cover a major purchase that comes into your view, it is fulfilling and helpful to frame a new purchase independent of your existing wealth and make that item or that experience “live on its own,” being self-reliant in its own sphere. NextWho Should You Take Advice From?